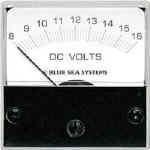 AC Amps meter 0-40 A, excluding transformer. 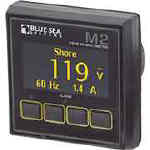 these state of the art full color monitors are made to meet the systems monitoring requirements of today’s modern vessel and recreational vehicle. 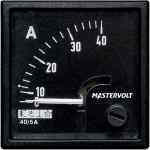 Contour analogue panel mount AC voltmeter (expanded scale). Contour analogue DC ammeter panel. 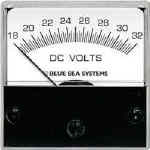 Contour analogue DC meter (expanded scale). They offer full control of circuits as well as the ability to view important on board systems information such as tank levels and power levels (for both AC and DC supplies), they also provide audible and visual alarms with systems diagnostics. Installation cable kit that includes 2 core screened cable in 2 lengths and pre-terminated. Monitors AC Amperage on large, bright display. Supports programmable current transformer ratios. Accurately measure and alarm the amperage of your AC system. Monitors AC Amps, Volts, Hzs on large, bright display. Supports programmable current transformer ratios. 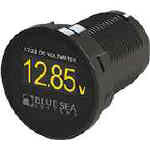 Accurately measure and monitor AC amperage, voltage and Hz. Monitors AC Voltage on large, bright display. Accurately measure and monitors the voltage of your AC system. Monitors DC Amperage with large, bright display. Monitors DC Voltage on large, bright display. economical monitoring for fresh or grey water tanks (plastic or fibreglass only).